The Telegraph takes up from where The Green Huntsman left off with the career of Lucien Leuwen, the fashionable young cavalry officer with “republican” leanings but aristocratic tastes. When his father, an influential banker, places him in a government office, Lucien is quickly involved in a series of intrigues. He is required to assist in the suppression of a murder, fix a provincial election, and to advance the interest of his father’s cabal, carry on a cold-blooded love affair with the most beautiful hostess in Paris. 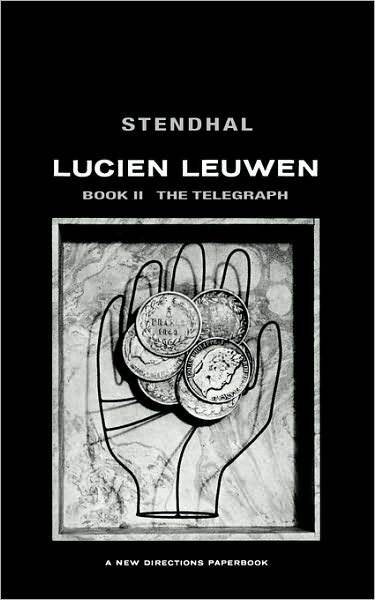 Through Lucien’s eyes, Stendhal uncovers the moral decay of a society in which a failing government keeps itself in power by force and trickery.